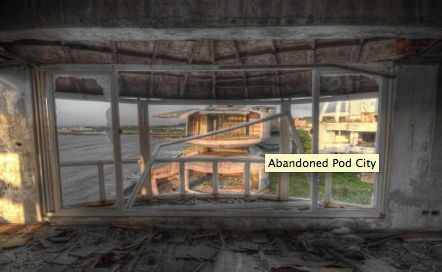 ‘Sanzhi Pod City was a set of abandoned pod-shaped buildings in Sanzhi District, New Taipei City, Taiwan. ‘Construction began in 1978. They were intended as a vacation resort and were marketed towards U.S. military officers coming from their East Asian postings. The project was abandoned in 1980 due to investment losses.